I’ve spoken about this before. 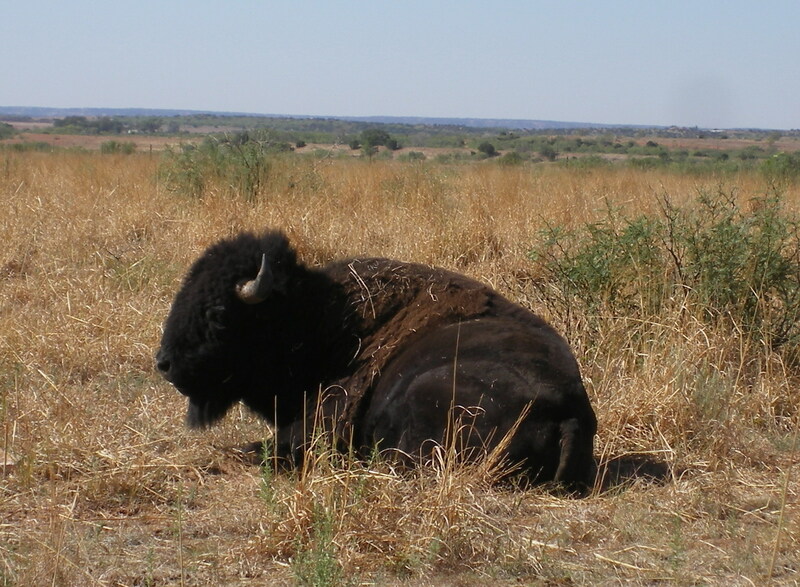 One of the things that rocked me when I saw the buffalo was how small they are. I mean, small compared to my expectations. I think they’ve been so built up in our minds through mythology they have taken on some larger size both in meaning and cultural identity. They’re mostly cow-sized with over-sized heads. They are not monsters. Okay, some of the bulls are large. But I was still struck by how much smaller they truly are than what I had built up in my mind. Nevertheless, they are fascinating animals. You know me from Live Journal, btw.